In conjection with the release of Microsoft Surface Laptop, which shipped with locked-down and stripped-down version of Windows 10 S. The main limitation of Windows 10 S is the restriction from running desktop apps – only Windows Store apps are allowed in Windows 10 S. Can you imagine if Windows 10 S users do not have Microsoft Office available to use? Thus Microsoft has released its full version of Microsoft Office to the Windows Store on June 15th, 2017, in preview mode. Office in the Windows Store uses new install and update processes, which are in preview, even though it will install full final stable version of Office apps that are not in preview nor in beta. 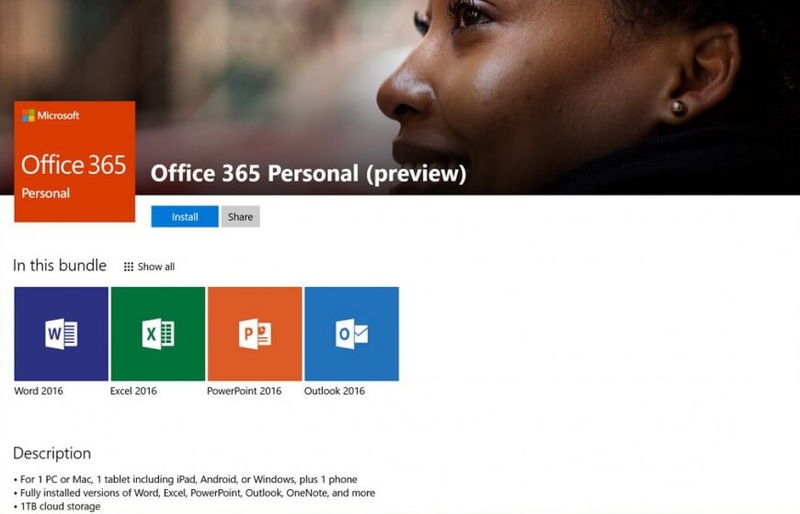 Currently, Word, Excel, PowerPoint, Outlook, Access, and Publisher are available on the Windows Store for several Office 365 plans including Office 365 Personal, Office 365 Home, Office 365 for Education Plus and Office 365 Education E5. Once the preview mode is over, Office in the Windows Store will be available for purchase and install directly on other Windows 10 devices, and other Office editions also will work on Windows 10 S, including Office Home & Student 2016 and Office Home & Business 2016. You will only be able to install the 32-bit version of Office. You won’t be able to use COM add-ins. Includes OneNote for Windows 10 instead of OneNote 2016. Previously, Microsoft has released Office as UWP (Universal Windows Platform) apps, which is now known as Excel Mobile, Word Mobile and PowerPoint Mobile respectively, and is now targeted towards mobile devices like smartphones and tablets with screen sizes less than 10.1 inches. Microsoft is using Desktop Bridge (Centennial) to bring Office to the Windows Store, which serves only Universal Windows Platform (UWP) apps. Desktop Bridge has been used by many developers to make their desktop apps, also known as Win32 programs, to be compatible with the UWP system. Visit Windows Store via http://aka.ms/CFQ7TTC0K5BF to get Office apps.